Google keeps upgrading or changing its search engine algorithm through new updates, such as the Panda Update. The main feature of the new update is that it has the capacity to detect low quality content. The focus of the update is checking quality of the content. The update has the capability of removing any redundant, spammy and irrelevant content. Therefore, SEO enthusiasts and marketers should expect their websites to suffer in terms of ranking if they do not contain high quality and relevant content. With the new update, Google hopes to encourage SEO marketers to focus on publishing excellent content only. Interestingly, the belief is that the new Panda Update works for the benefit of not only smaller, but also medium websites, as long as quality is not thrown out of the window. Panda is capable of being very precise in identifying low quality content. Therefore, website owners should not worry about the update targeting high-quality content wrongly. The new update seems to be favorable towards websites that focus on news, content and download portals. On the other hand, websites that have a special emphasis on medical portals, lyrics and games appear to be the least favored by the new update. The Panda update has negatively affected websites that have thin content. On the other hand, websites with rich content are enjoying better performance while appearing on the top of the rankings. 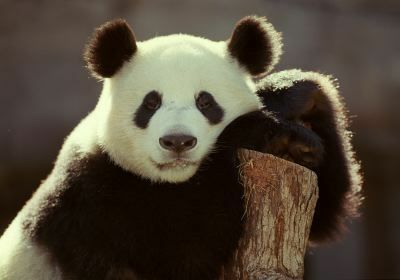 All websites that appeared to have lost a great deal with the previous Panda updates are enjoying a new lease of life. This is because of the rich and quality content that they now contain. The new update is the result of a campaign that Google users conducted. The campaign was to convince Google to find a way of avoiding ranking websites that contain spammy or poor quality content. Users want useful and relevant information through search engine queries. Panda update has affected some of the most popular websites negatively. Such websites include Wisegeek, Ezine Articles and Mahalo to mention but a few. This has come as a surprise to many who believe that a site such as Ezine Articles accepts nothing but the best. The effect on its site has forced Ezine Articles to say that it shall be stricter with some of the articles that it receives. With the new update, it is now clear that publishing content on any website purely to increase traffic shall no longer work well. Google made this update to discourage this habit. Panda update focuses on what people/users want, which is relevant and useful information. Therefore, to avoid falling foul of the new Panda Update, each website should focus on publishing helpful, original and unique content from today. The new update began having an impact in the US when Google released it towards the end of last year. As its effects spread to other parts of the world, more websites should feel the heat and change how they approach SEO. Alternatively, instead of waiting until the negative effects crop up, it would be much better for the yet-to-be-affected websites in other parts of the world to make changes that would help them enjoy positive results arising out of the new Panda Update.